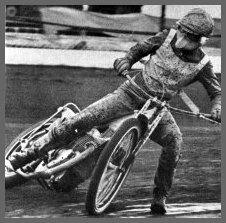 Bengt originally came to the UK to Wolverhampton in 1969 as a replacement for Hasse Holmqvist who had priced himself out of the British League due to the poor exchange rates at the time. Poor Bengt was thrown in at the deep end and was nowhere near good enough to replace Hasse and by the end of the year he was four points per match down on Hasse's average. 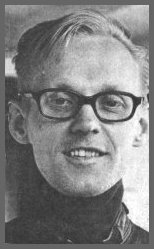 Unlike a lot of riders Bengt was not intimidated by the track at Exeter and he had his best match there as he did when joining the Heathens in 1971. He joined Exeter in 1970 replacing Bruce Cribb who had suffered a broken thigh. He rode 18 matches for the Falcons achieving an average of over 5 points per match, unfortunately Bengt was missing too many matches due to Swedish commitments and when Cribb made a sooner than expected return Bengt was released to Wembley for the rest of the season. His average fell to just under half of his County Ground average. It was 1971 when he joined the Heathens again he rode for 18 matches ending with an average of 2.26 from all matches. He started the 1972 season with Cradley but was replaced after just 2 matches when Mick Handley returned from injury.